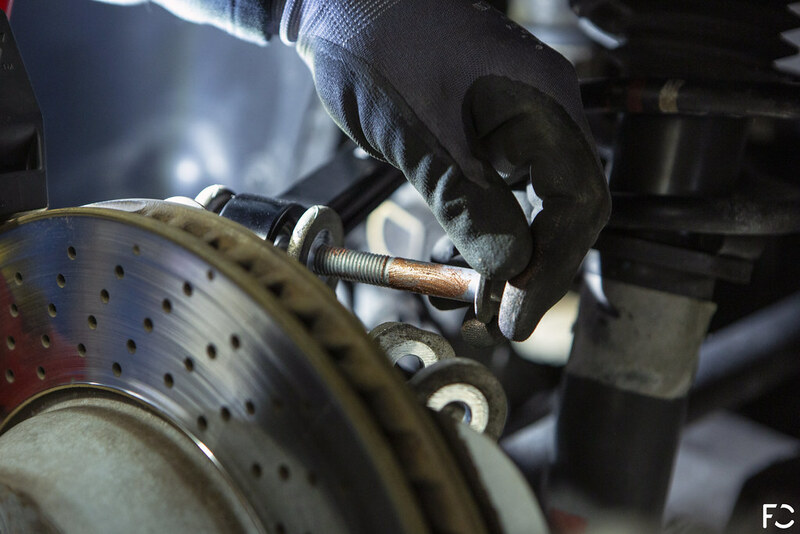 As I've spent more time behind the wheel, I've not only grown more sensitive to the areas in which my cars can improve, but also more discerning about the parts I choose to upgrade them. 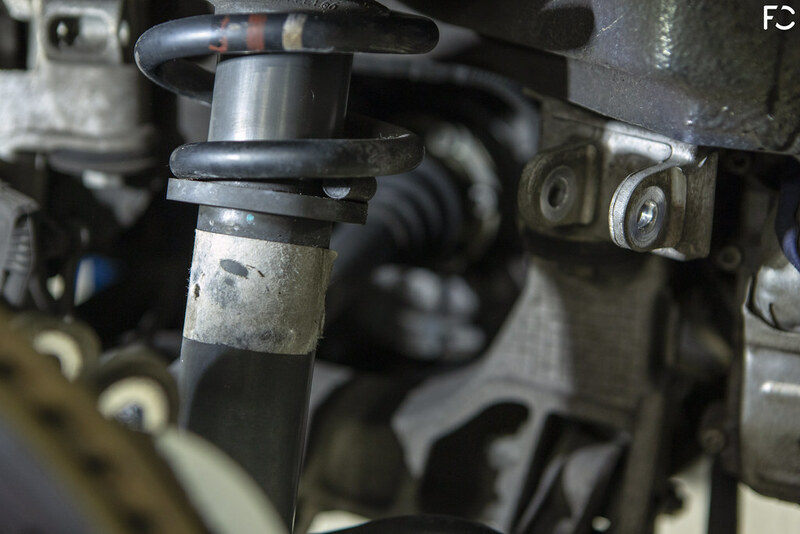 If there is a constant, it's that suspension upgrades continue to be of utmost importance (and an area of noticeable difference once complete). Truth be told, the 997.2 is still a relatively new platform for me and I've made a diligent effort to learn and appreciate the car as much as possible before making improvements. You can read more about the initial mods here. You could say we're a bit spoiled with having such immediate access to a racing titan like Fall-Line Motorsports, and you'd be right. I've been able to take a much more intimate look at cars to understand the logic behind why certain parts were chosen or, more often than not, made within these walls to ensure both reliability and victory. 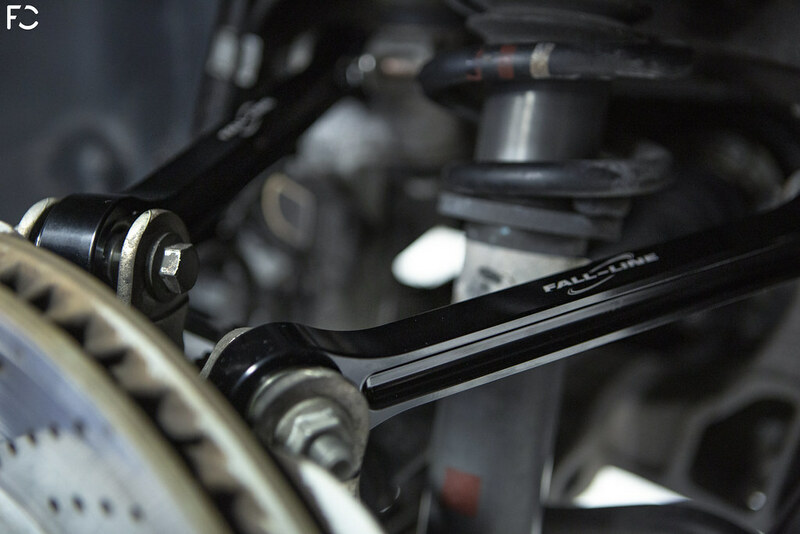 Made is the key word here—Fall-Line's racing outfit has made it possible to test a slew of products from other manufacturers to identify failure points or areas of inefficiency. 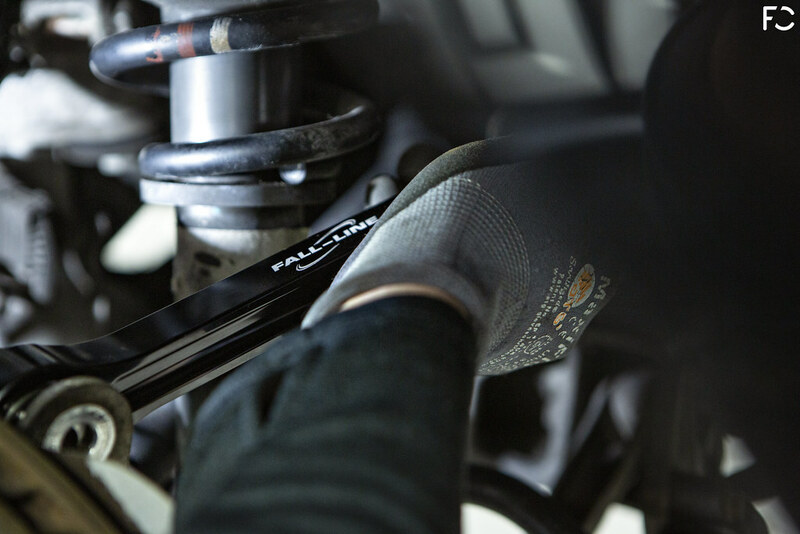 In doing so (and coupled with their own incredible design prowess), Fall-Line has been able to catapult their own parts wheelhouse rapidly—offering (not arguably) the best components for BMW and now Porsche for street and track use. 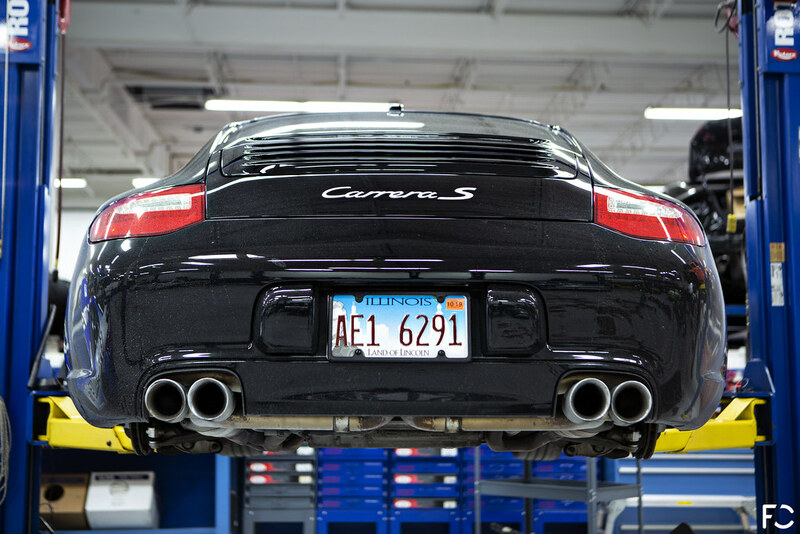 Now, Fall-Line has made a huge commitment to building a full suite of parts for the Porsche community—namely the 996, 997, and 991 platforms. It's been a great pleasure to see the parts go from idea, to design, and to fruition right before my eyes and be amongst the first to install their new Upper Control Arm Set onto my .2 project! 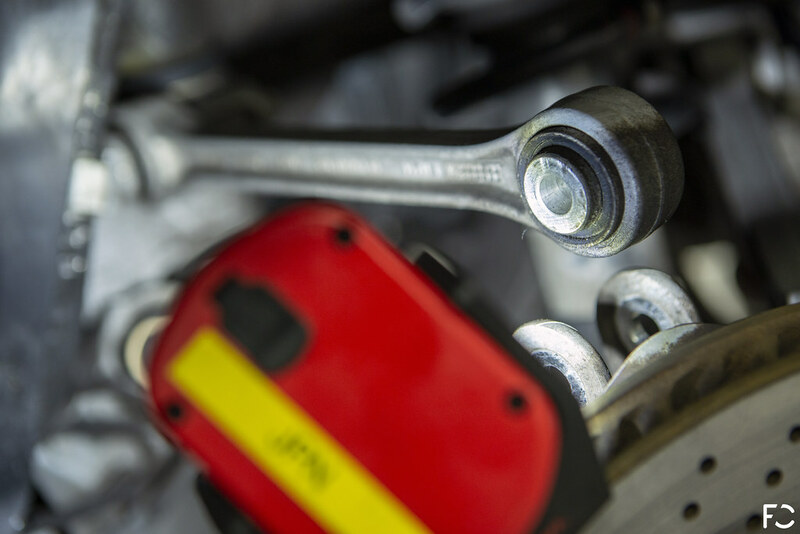 As you may have guessed, it's easiest to have access to an automotive lift, but it's entirely possible to do a side at a time on the ground. Also here's a good look at our super popular Aluminum License Plate Frame...shameless plug, I know. 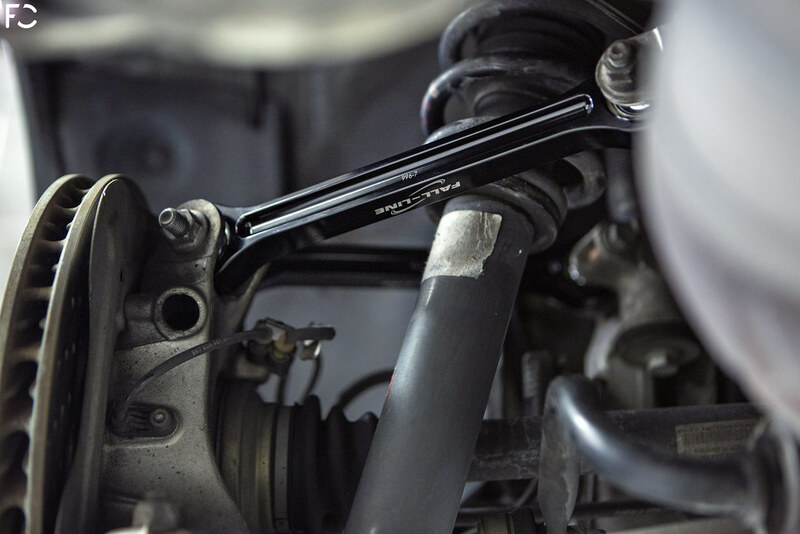 Begin with two ratcheting wrenches (16mm / 18mm). Use these two in combination to remove the OE hardware that secures the factory upper arms—there are two on each side of the vehicle. 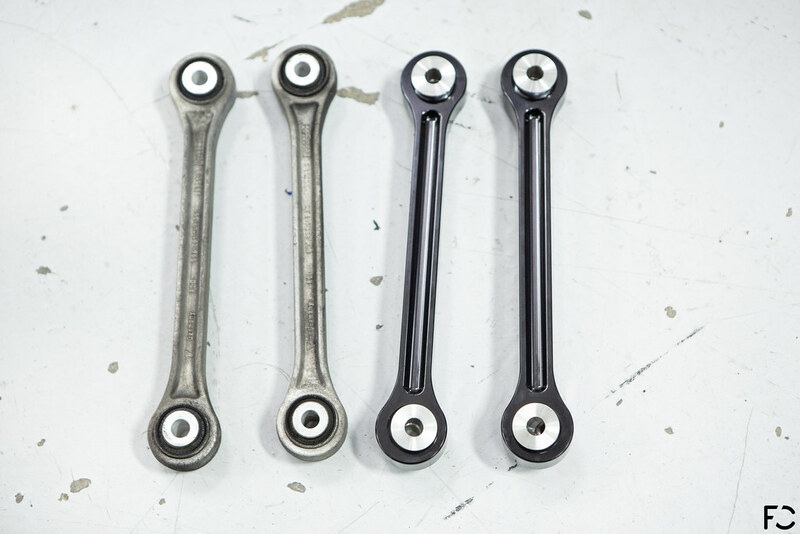 Here's a quick look at the Porsche OE rear upper arms versus the Fall-Line Motorsports set. While the length is identical, the structural upgrade is fairly easy to see. 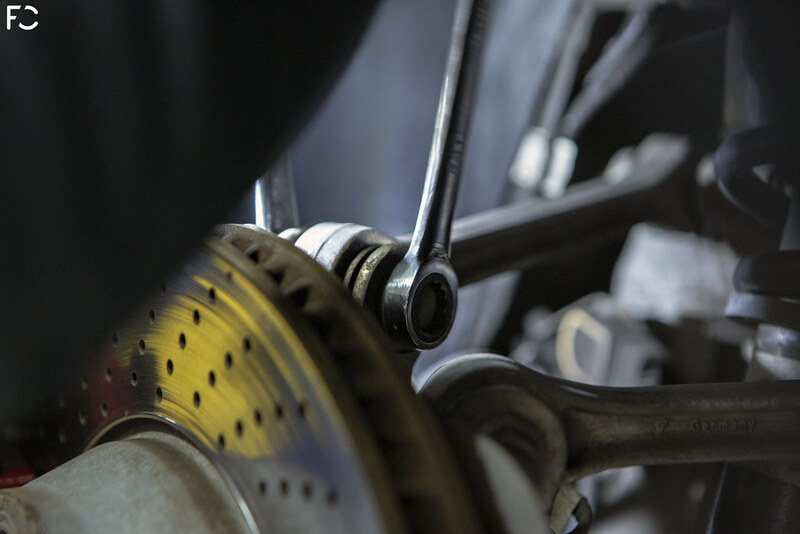 Handling the Fall-Line parts confirms the visual differences—the new arms are vastly more robust and do away with the rubber bushing in favor of a sturdy FK monoball replacement. 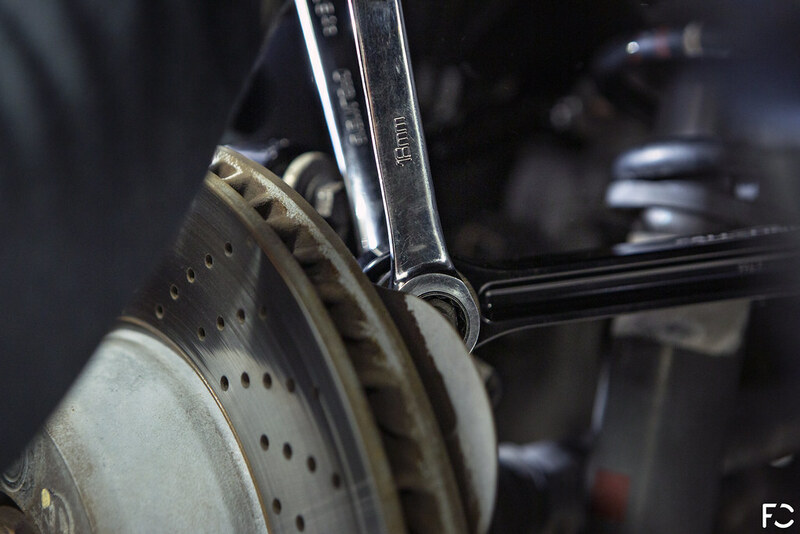 The result is a dramatic reduction in deflection under all driving conditions, less undesirable / unpredictable alignment changes, and ultimately more confidence behind the wheel. As you can also see, these arms are non-adjustable—a marked contrast to the other offerings on the market. The Porsche Cup Car makes use of a non-adjustable arm here as well, relying on the lower arms to fine tune camber and toe. Simply put, not everything needs to be adjustable. Making the right adjustments to the lower arms (forthcoming) will net all the tweaking you need without over-complication. Okay onward! 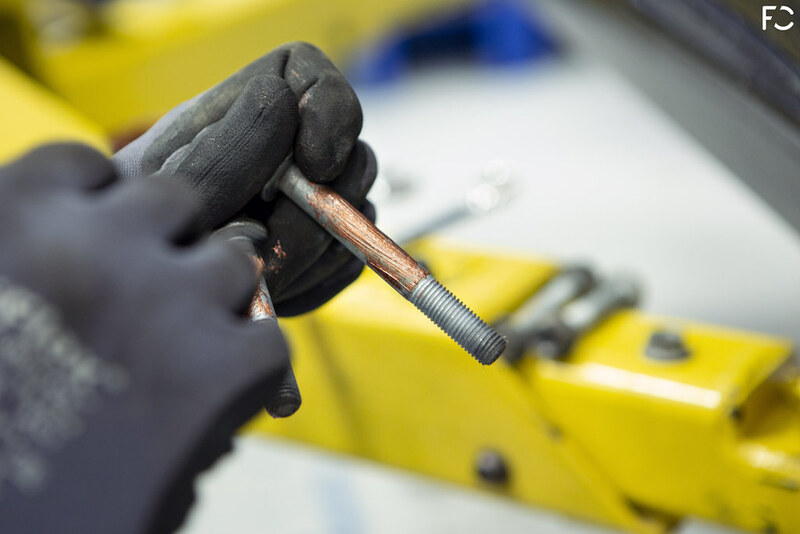 Before installing the Fall-Line arms, apply a layer of copper anti-seize (we prefer Copaslip) to the OE bolts. These will be re-purposed for use with the new arms. Slide the "uppermost" upper arm into place first. As a note, the 996/997 engraving on the side of the arm should be upright. 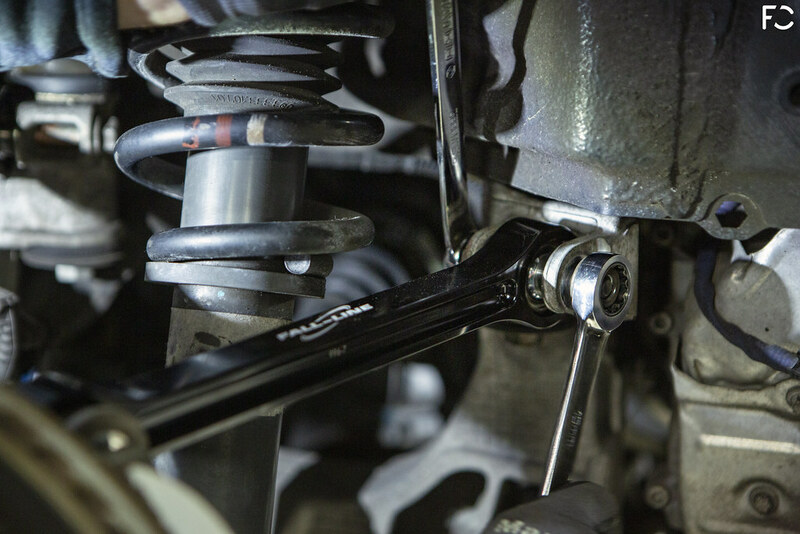 Once orientated properly, slide the OE bolts through both ends and secure. Repeat this for the "lower" upper arm and the other side of the vehicle. A fairly simply process for the amount of discernible improvement! These arms are IN STOCK and ready to go—the full set of four is competitively priced at $980. Feel free to e-mail us at info@futureclassic.us if you have any further questions about these or other Porsche parts in the pipeline!